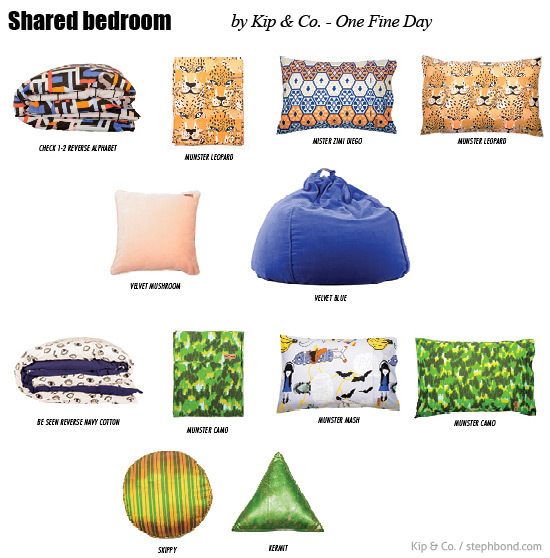 Kip & Co. are the Queens of mix-and-match. They are styling geniuses! 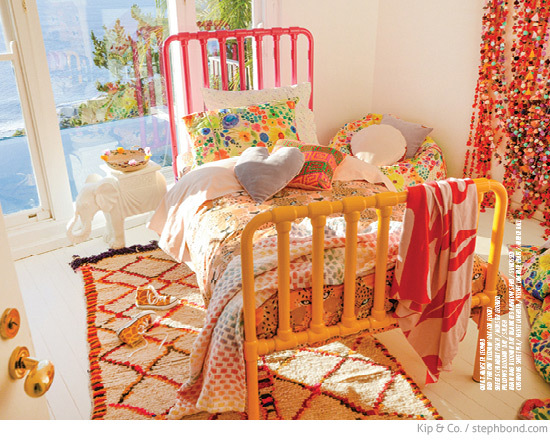 Add their beautiful bed linen, pillows and bean bags to these amazing Incy Interiors beds (below) and it's a feast for the senses. 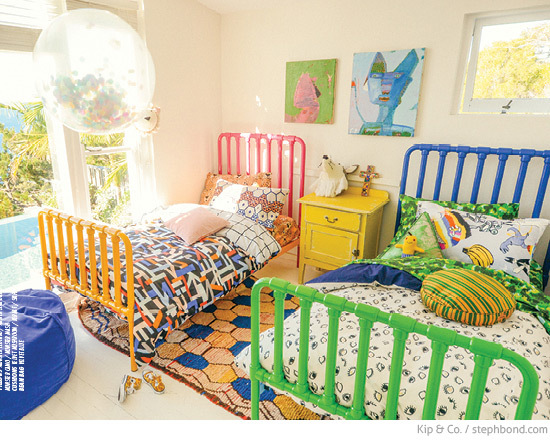 I'll have the Munster leopard-print bed linen and the golden eye blanket please! 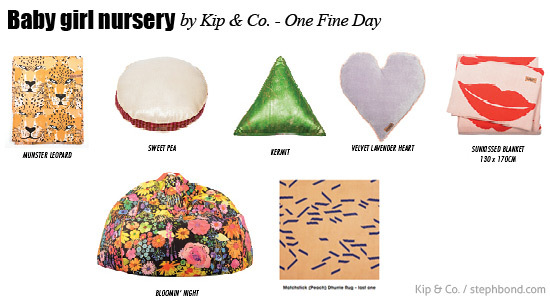 And my girls are all about the Bloomin' Day floral-print beanbag and linen. 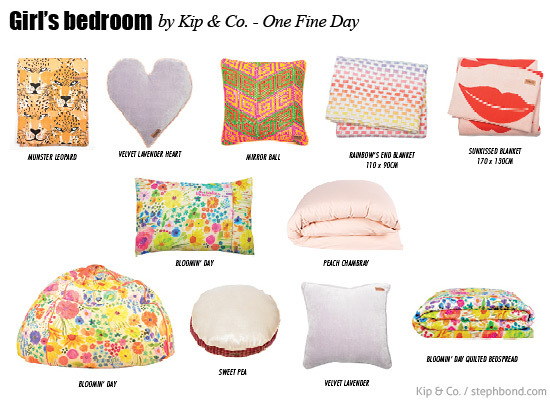 You can find the new One Fine Day collection on the Kip & Co. website, as well as stockists around Australia. 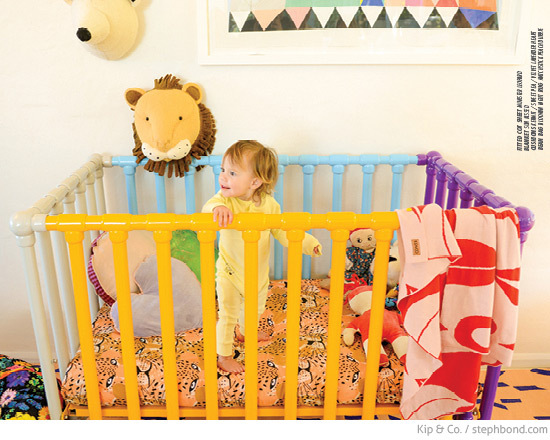 The limited edition Incy Interiors beds for Kip & Co. are available on the Incy Interiors website. So good.